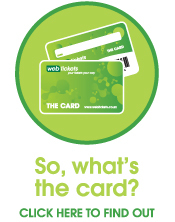 OK, so what's the Webtickets Card? Webtickets is always trying to make it as easy as possible to get your tickets to you, and lately we've been getting a lot of flack from a lot of you about all the paper thats being printed to get your tickets. Yes, we do recycle these tickets, but its still a mission.....you need a printer, paper, ink yadayadayada. 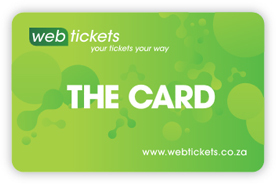 Well, we reckon we have come up with a way to do this AND keep Al Gore happy at the same time: your own, slick Webtickets card. Its got a barcode on it, which is also your personal Webtickets number. 1. When you are about to pay for your tickets, select the "I have a webtickets card" option. 2. 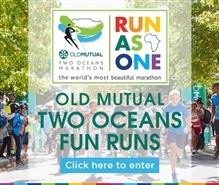 Enter the barcode number on the back of your card into the relevant area on the screen, and buy your tickets as usual. 3. 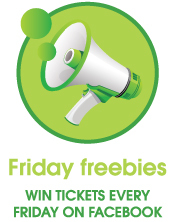 If your transaction is successful, the tickets will be loaded onto your card - no printing required! 4. Take the card with you to the event where it will be scanned at the Webtickets access control point. And thats it! You can also buy tickets for your mates and load these on the card, just make sure you all arrive together.